NUR SHAHIDA BINTI MIDI, Dr.
ABSTRACT: This paper presents simulation results of the influence of wide range modulation index values ( ) in carrier-based PWM strategy for application in generating the stepped waveform. The waveform is tested for application in single-phase half-bridge modular multilevel converters (MMCs) topology. The results presented in this paper include a variation of the fundamental component (50 Hz) in the voltage output. It also studies total harmonic distortion of the output voltage (THDv) and the output current (THDi) when the modulation index is changed over the linear-modulation region, 0 < < 1. It also explores the effect of a modulation index greater than 1. Moreover, different output voltage shapes, as a consequence of varied on MMCs, are also illustrated for showing the effect of varying the value of on sub-module of MMCs. ABSTRAK: Kajian ini berkenaan tentang pengaruh simulasi terhadap pelbagai nilai indeks ( ) berasaskan strategi PWM bagi menghasilkan bentuk gelombang bertingkat. Bentuk gelombang ini diuji untuk aplikasi topologi MMCs. Keputusan menunjukkan variasi pada komponen asas (50Hz) pada voltan akhir. Keputusan menunjukkan jumlah penyelarasan harmonik voltan akhir (THDv) dan arus (THDv) apabila indeks modulasi telah ditukar pada had modulasi linear, 0 < < 1. Ia juga membincangkan tentang kesan indeks modulasi lebih daripada 1. Selain itu, bentuk voltan akhir yang berbeza mengikut perubahan nilai pada MMCs juga dilampirkan bagi menunjukkan kesan perbezaan nilai pada sub-modul MMCs. Blaabjerg F, Yang Y, Ma K, Wang X. (2015) Power electronics - the key technology for renewable energy system integration. In Proceedings of International Conference on Renewable Energy Research and Applications: 22 November 2015; pp 1618-1626. Choi UM, Lee KB, Blaabjerg F. (2012) Power electronics for renewable energy systems: Wind turbine and photovoltaic systems. In Proceedings of International Conference on Renewable Energy Research and Applications: 11 November 2012; pp 1-8. Liang X. (2017) Emerging power quality challenges due to integration of renewable energy sources. IEEE Transactions on Industry Applications, 53(2):855-866. Karimov KS, Abid M, Al-Grafi MW, Islomov SI, Karimova NH. (2013) The economics of micro hydro power plants. IIUM Engineering Journal, 14(2):173-181. Shi Y, Li R, Xue Y, Li H. (2016) High-frequency-link-based grid-tied PV system with small DC-link capacitor and low-frequency ripple-free maximum power point tracking. IEEE Transaction Power Electronics, 31(1):328-339. Koutroulis E, Blaabjerg F. (2011) Design optimization of grid-connected PV inverters. In Proceedings of Twenty-Sixth Annual IEEE Applied Power Electronics Conference and Exposition: 6 March 2011; pp 691-698. Mahzarnia M, Sheikholeslami A, Adabi J. (2013) A voltage stabilizer for a microgrid system with two types of distributed generation resources. 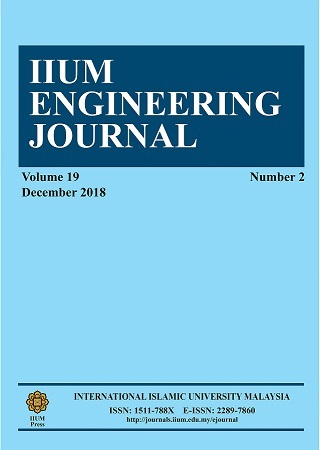 IIUM Engineering Journal, 14(2):191-205. Tohtayong M, Khan S, Yusoff SH, Yaacob M, Ahmed MM, Motakabber SM, Aboadla EH. (2016) Stepped waveform generation for multilevel inverter topology applications. In Proceedings of International Conference on Computer and Communications Engineering: 26 July 2016; pp 219-224. Samadaei E, Gholamian SA, Sheikholeslami A, Adabi J. (2016) Cascade topologies for the asymmetric multilevel inverter by new module to achieve maximum number of levels. IIUM Engineering Journal, 17(2):83-93. Babaei E, Laali S, Bayat Z. (2015) A single-phase cascaded multilevel inverter based on a new basic unit with reduced number of power switches. IEEE Transactions on Industrial Electronics, 62(2):922-929. Masaoud A, Ping HW, Mekhilef S, Taallah AS. (2014) New three-phase multilevel inverter with reduced number of power electronic components. IEEE Transactions on Power Electronics, 29(11):6018-6029. Buccella C, Cecati C, Cimoroni MG, Razi K. (2014) Analytical method for pattern generation in five-level cascaded H-bridge inverter using selective harmonic elimination. IEEE Transactions on Industrial Electronics, 61(11):5811-5819. Perez MA, Bernet S, Rodriguez J, Kouro S, Lizana R. (2014) Circuit topologies, modelling, control schemes and applications of modular multilevel converters. IEEE Transactions on Power Electronics, 30(1):4-17. Edpuganti A, Rathore AK. (2015) Optimal low-switching frequency pulse width modulation of medium voltage seven-level cascade-5/3H inverter. IEEE Transactions on Power Electronics, 30(1):496-503. Zabaleta M, Burguete E, Madariaga D, Zubimendi I, Zubiaga M, Larrazabal I. (2016) LCL grid filter design of a multimegawatt medium-voltage converter for offshore wind turbine using SHEPWM modulation. IEEE Transactions on Power Electronics, 31(3):1993-2001. Varghese LJ, KeziSelvaVijila C, Raglend IJ. (2016) A survey of modulation techniques for a series connected voltage source inverters. International Journal of Advanced Engineering Technology, 7(2):571-581.